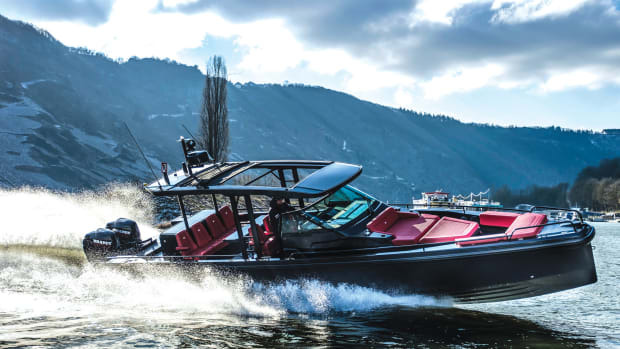 The word transformer is used to describe a lot of boats these days as more of them hit the water with convertible features that instantly switch up the look and function of living spaces. But one motoryacht appears to have more of these clever conveniences than most. 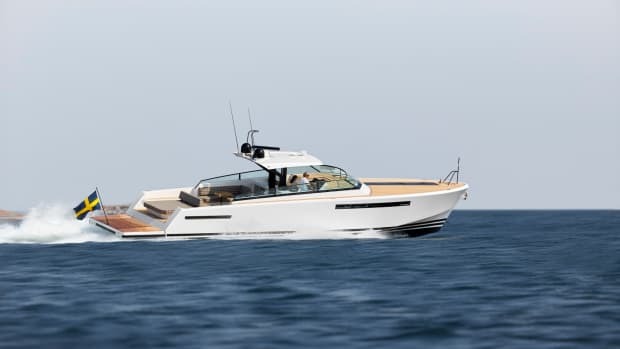 When the Galeon 640 Fly debuted at a show recently, a shopper who saw it at the dock initiated a swift purchase and then promptly made plans to paint the name Optimus Prime on its transom. That buyer has a sense of humor, but it seems he also was impressed with all of the ways this boat can dramatically change appearance and layout. Galeon did its most interesting work at the bow. Here, you just push a button and the big center section of the windshield lifts up on a quiet motor and slides back to disappear into a watertight compartment. 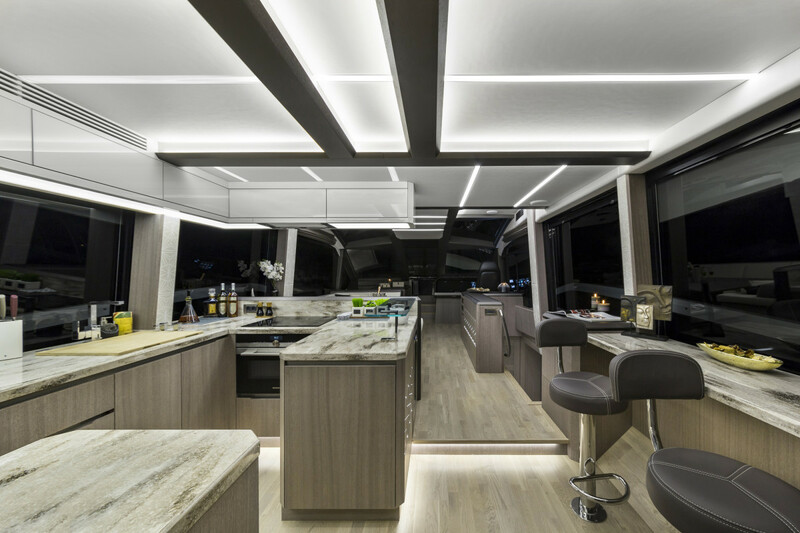 With this panel of glass removed, the cabin is open to the breeze, and guests with wobbly sea legs don’t have to tiptoe down the side decks to get to the party at the foredeck. You can organize a good-size get-together at the bow, as there are three lounges and two teak tables. And yet, there’s more here than meets the eye. 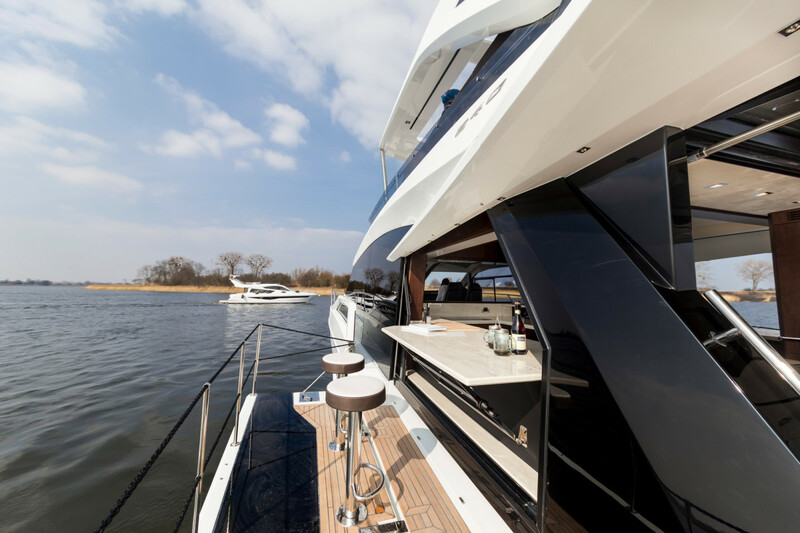 When it’s time to pull anchor and ask guests to join you on the bridge, the lounges and tables lower electrically, seatbacks collapse and all components slide aft so that covers can be dropped over the whole arrangement, turning the bow deck into a pair of giant sunpads. 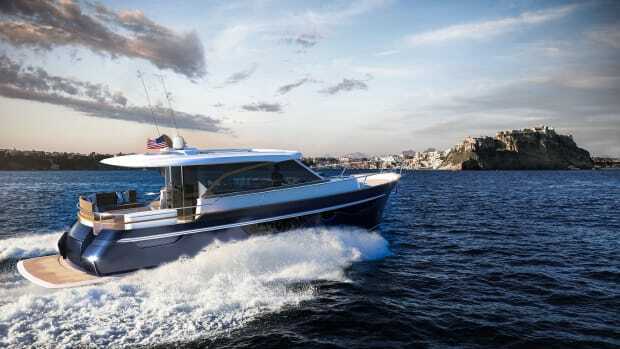 Features like these are coupled with other space-expanding components, including balconies at the port and starboard sides of the cabin that fold out to boost the boat’s beam from 16 feet, 5 inches to 23 feet. (Each balcony measures 54 square feet.) Windows surround the cabin, and the glazing is notable as big panels on all three sides slide open. Other moving parts on board include the hydraulic swim platform with a staircase that dips deep into the water. Fold-out balconies and opening windows on either side of the salon transform the main deck into an open-air breakfast bar. 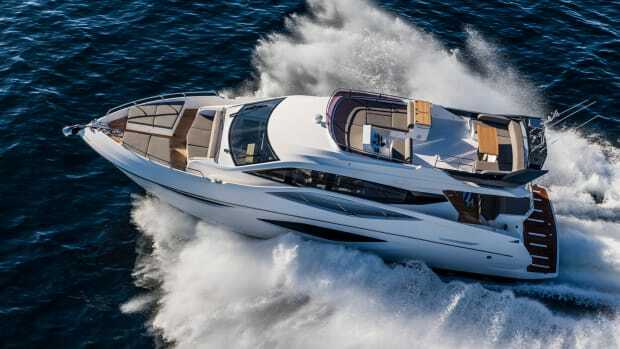 Galeon is a Polish brand that’s been offered stateside for a few years. 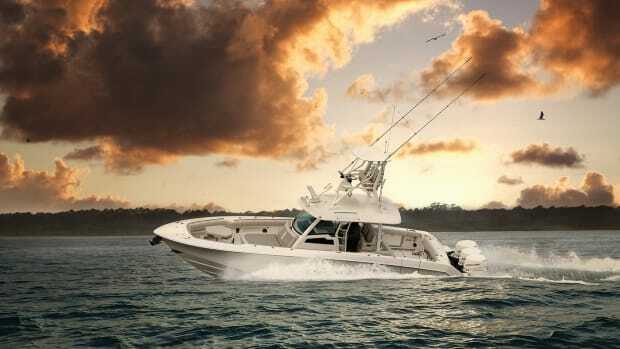 MarineMax became the exclusive dealer in 2016, and it now offers models from 40 to 68 feet. Thus, Galeon owners have access to MarineMax’s 60 service providers around the country, and its considerable inventory of spare parts. 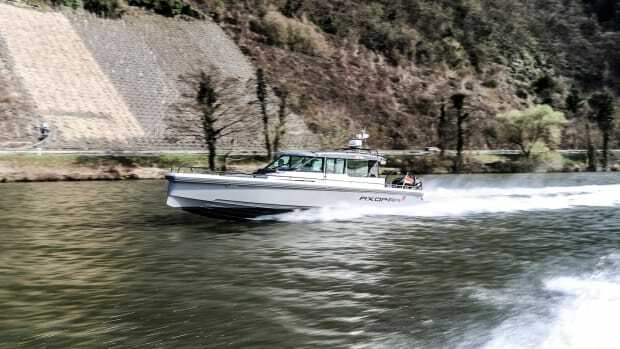 The 640 is made overseas, but it’s been Americanized with brands U.S. boat owners recognize, including Raymarine and Onan. 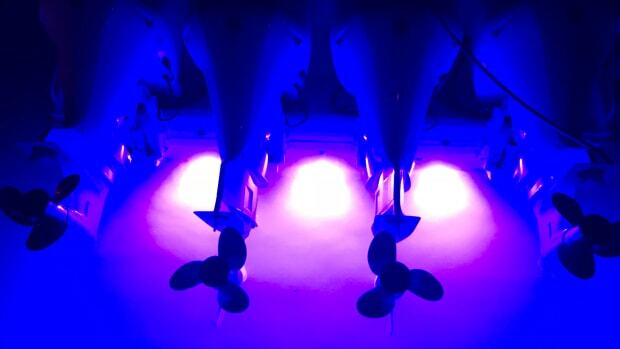 For propulsion, the 640 Fly has a pair of 1,000-horsepower Volvo Penta D13s with straight shafts; to enhance maneuverability, the boat comes with standard thrusters. 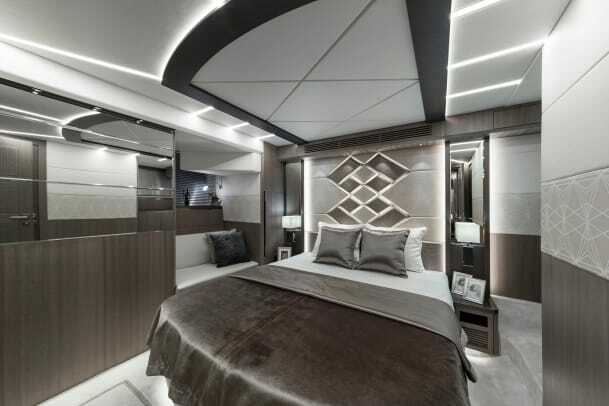 The 640 has three staterooms on the accommodations level. Crew quarters are optional. 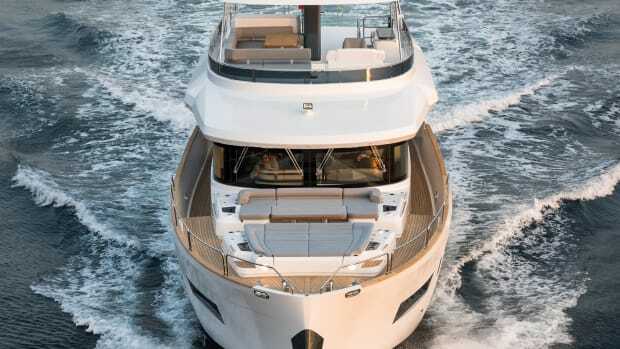 The Galeon is priced at $2,995,000. 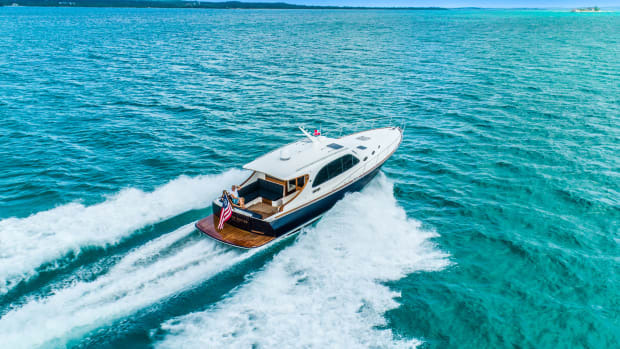 In return for the investment, you get a tricked-out cruiser with one of the largest and most versatile foredecks in its size range. 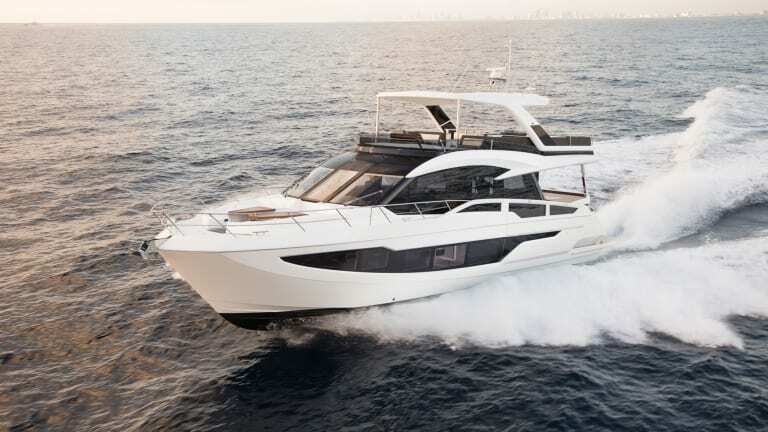 The Galeon 640’s open interior layout is designed for entertaining large parties.